Ripon City Councillor Stuart Martin walking his dog Meg down the Fairy Steps. An appeal to restore Ripon's treasured Fairy Steps has attracted support from dozens of readers across the city. Since the Gazette backed the new campaign to protect the popular beauty spot, Ripon City Councillor Stuart Martin has been delighted by the great response. Coun Martin was contacted by a resident who raised concerns about the deteriorating condition of the Fairy Steps near the Rustic Bridge, and has since worked with the ranger and officers at Harrogate Borough Council to explore ways of preserving the steps which have been eroded by floodwater. Coun Martin appealed to Gazette readers to get in touch and share anything they know about the Steps in order to prepare a funding bid, whilst also welcoming any suggestions, advice and offers of help with the restoration. Coun Martin said: "I have had an absolutely fantastic reaction from people who are as keen as I am to see the area improved or at least maintained, to see the steps hopefully restored to their former glory. "We are looking into and considering having a 'friends of' group for the Fairy Steps since so many people have got in touch and there is that interest there. It is great to there seems to be so much support for one. "Councillor Alan Skidmore is in touch with the army archives to see if we can find out more about the Steps, so it will be interesting to hear the outcome of that. 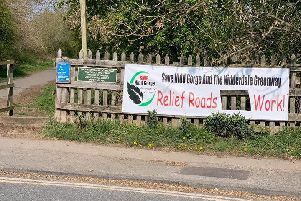 "People have got in touch from the rotary club to express their interest and support, and another chap who has worked on a restoration project before also contacted me.